A few areas of note on that fall schedule: The Blacklist claims the coveted Monday night time slot after The Voice. The Blacklist, starring James Spader, tries to deliver the same action packed feel as Revolution but in a more accessible package. Revolution moves to 8 PM on Wednesday. On Tuesday The Voice moves back an hour to boost the fortunes of surprise performer Chicago Fire which moves to Tuesday. Tuesday also sees the return of The Biggest Loser to the fall schedule in a 60 minute shortened format. Thursday night features a near brand new lineup with only Parks and Recreation a holdover from this season. The Michael J. Fox Show debuts at 9:30 PM where it is followed by a relocated Parenthood. Two new comedies fill in the hour between Parks and MJF. Previously announced Dracula finds a home after Grimm on Friday and swaps with Crossbones at midseason. Speaking of midseason, here is that proposed schedule. Obviously it should be taken with a grain of salt at this point but three areas of note. First in the lack of Community on the schedule which does not come as a surprise. Community will no doubt be used as schedule spackle when one of the current comedies bites the dust. 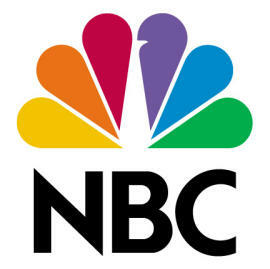 The second is that NBC returns dramas to the Sunday night schedule for the first time in recent memory. Those dramas include the J.J. Abrams produced and Alfsonso Curaon helmed Believe and Crisis in a genre-esque night that the Peacock no doubt hopes will combat some of the erosion of audience to cable on Sunday. Those dramas come at the expense of The Celebrity Apprentice which is nowhere to be seen on the schedule – its fate to be decided. This entry was posted in Network Upfronts, TV. Bookmark the permalink.